Give your entire team the power to accomplish mission-critical tasks from their devices simply anytime, anywhere. Mobility is here to stay and it’s only to become entrenched in today’s businesses. 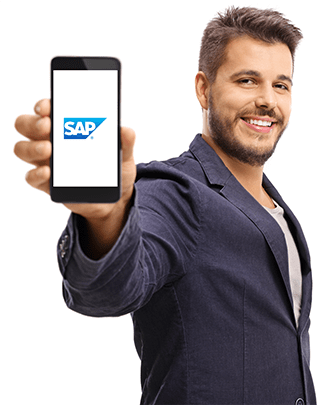 Our services for SAP Mobile enable businesses worldwide to quickly and accurately perform tasks, respond dynamically to the needs of your clients and find the information they need from anywhere and anytime. As an SAP Business One Gold partner, Uneecops will work with you to maximize the power of SAP mobile solutions. 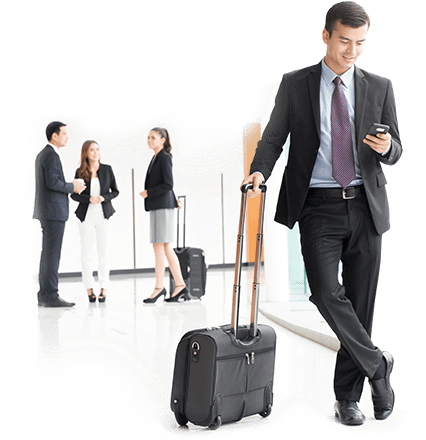 Get the freedom to do business from any device- anywhere, anytime! View, search, compare and create sales quotations, activities, or sales order in real-time using visual and convenient display layout. Monitor inventory levels and access detailed information about your products, including available quantity, overstock, under-stock, product specifications, and other details. Gain key information about your business the time you need it. Add your own customized reports to the app and easily share them with your employees. Arrange daily activities and visualize key business information with real-time information. Get alerts on specific events and view approval requests waiting for your immediate action. Drill down fast into the relevant information before jumping to any decision. Give your team the power to accomplish business tasks from their devices with mobile access to SAP Business One. Let them manage their key tasks and processes better. Uneecops relationship with SAP extends back decades. We have won a series of SAP awards that help validate our positioning to deliver quality and value. So, if you want to extend your reach, speed decision making and address the evolving business demands then Uneecops should be your partner of choice.